Today, our entire Gueberschwihr gewürztraminer comes from one little vineyard located a stone throw from the Goldert vineyard. A short distance, but quite a different soil! Here, the calcareous rock is less dominant and there is more organic richness, which explains higher yields and not quite the same richness than its famous neighbour. However, the vines have now reached a nice mature age and are capable of producing some nice rich grapes. In 2007, this microscopic parcel produced some rich wine, with only a hint of noble rot and quite high acidity for this grape variety. The fermentation took some time and produced a silky textured wine. 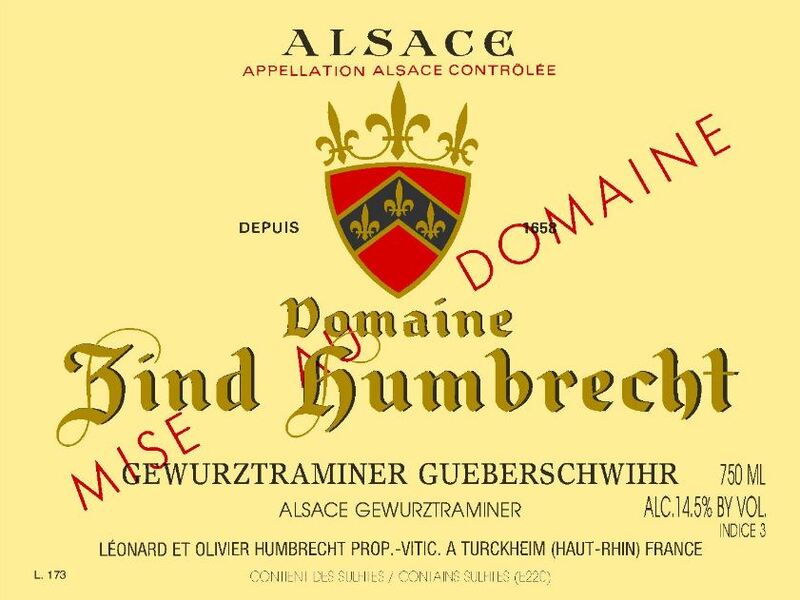 2/2009: the nose is extremely aromatic, and almost not characteristic of a gewürztraminer, with lots of white flowers and lilies. I must confess that this wine was fermenting in the cask where the Riesling Brand 2006 SGN was ageing just before, and somehow I wonder if some of the Riesling pungent aromas didn’t survived in this cask. The palate is round, but not at all excessively sweet, and finishes on a delicate harmony. This is a very attractive wine.